The holidays are right around the corner, and I am exited to be working with the Win Giveaways team to host our 3rd annual Holiday Giveaway Bash! 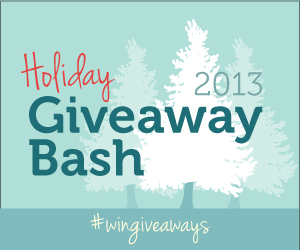 The 2013 Win Giveaways Back to School Bash will kick off on Monday (11/18/13) at 9AM, and we have some awesome sponsors and prizes lined up for you! If you aren’t already following Stretching a Buck on Facebook, Subscribed to my Email or RSS Feed, or Following @stretchingabuck on Twitter, be sure to do so now to save yourself time – because those items will earn you 3 extra entries! Be sure to check back Monday morning at 9 AM EST, when all of the fun begins! Good luck!